The personal assistant is missing the retailer's largest consumer benefit, a seamless shopping experience, writes Firstborn's SVP of business planning. There’s no secret Alexa is taking over. Cars, TVs, even refrigerators are ready to take your auditory orders. If it’s got power and Wi-Fi, it’s a point of purchase. 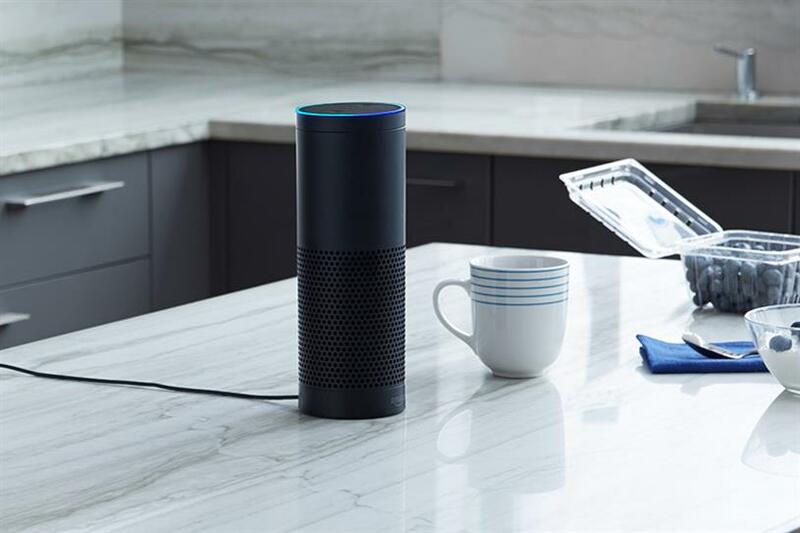 Amazon’s advantage as a prime mover in the voice AI space was evinced all over CES, way more than Google Home. But since then I’ve begun to wonder if Alexa doesn’t run counter to Amazon’s largest consumer benefit: the ability to shop. To most consumers, Amazon exists as the most convenient place you can buy just about anything, for what’s likely to be the lowest price. And while providing value in other ways is great for consumers (playing music accounts for almost 50 percent of Alexa usage in the Echo), the user experience of the shopping function on Alexa is fairly clumsy. This points to interesting implications of voice AI and the shopping experience. I was recently on a panel that was asked to address the nature of search and its implications in the voice AI context. Since search became a thing, we’ve been trained to retrieve a list of search results through text. This behavior is now ubiquitous. I can do this from any screen I own. But translate this into a voice context and it’s really annoying. Text-based search results work because you can quickly skim and scan them visually. But when Alexa starts listing things out to you vocally, it’s so disconcerting, you’ll tell her to stop after the second or third result. This is because there are very few reasons to ever dictate a list of items in a conversational context, and it breaks the promise of a seamless, Star Trek-esque AI experience. Back to the panel, one of my colleagues had a great response to this question, positing that we don’t really need a list of results when the first answer is the correct one. If Voice AI can answer a simple query with the correct answer, it’s a better experience than a text-based search results page. He’s right of course. Many of my searches now are solved on the first result. But there are plenty of instances where that’s not the case—especially with first-time purchases—and that’s kind of the problem with Alexa. Toilet paper (being the universal product everyone needs, but doesn’t need to think about) works perfectly as an Alexa use case. Alexa absolutely crushes ordering toilet paper. The first time you order, she might be a little wonky, but once Alexa knows what will forever be your toilet paper of choice, she will execute this shopping maneuver flawlessly. Amazon has a history with this use case in their Dash Button products. It’s something I first heard described by Andreessen Horowitz’s Benedict Evans as turning your "product into a channel." In certain scenarios, a consumer doesn’t want choice. They just want that one, simple thing. More important than anything, Alexa needs only to understand what I mean when I say, "Buy toilet paper." Alexa does this very well. But what about other products? So, great! Alexa can order toilet paper, dish soap and recycling bags like a boss. She is also great if you know exactly "what thing you want to buy" and there is exactly "one of that thing." Easy right? No, because there are almost no examples of a product this unique. Think about it. Virtually every product has options associated with it that become annoying in a voice context. Shoes? Sizes, styles, colors, etc. Books? Hardcover, kindle or audio versions. I tried to order a simple, manual can opener the other day when mine had broken and my hands were covered in spilled tomato puree. Trying to navigate to a simple, non-electric version for the amount I wanted to pay was basically impossible. All of these choices drop you into a voice experience that is objectively better suited for an app/website environment. Amazon has brought us all sorts of features we take for granted. Product reviews, pricing options, suggestions; Amazon has turned us into the most powerful comparison shoppers ever. All of the information surrounding a product informs our purchase decisions instantly. Even when I’ve come to Amazon with something very specific in mind to buy, I’ve paused if that product has a one star review. Theoretically, on Alexa, I would miss this unless I asked for it specifically. By ignoring these features, the voice context has diminished the value of my experience with Amazon considerably. Some might say I’m missing the point, that Alexa isn’t really about buying can openers, it’s about getting more people to signup for Amazon Prime, or that it’s about being a first-mover in a new category. And who says they can’t do something counter to their core business? That’s how businesses evolve. No one told Apple they couldn’t become a music store, right? And I get all that. But for me it shows there’s still plenty of room for other players in the space. I have high hopes for what Google Home can do, especially with the power of Google’s cloud APIs. Home is already doing things I wish my Echo would do, like connecting to Chromecast for voice-controlled television (why can’t the Fire Stick do this?). Still, Amazon has done a ton of things right with Alexa. It’s by far the best consumer voice AI to date (Siri who? ), and for that they should be celebrated. But I feel like "buying stuff" is something they should get right. Maybe it’s some kind of existential brand thing. If they can really solve for this I think they will shore up their position in the space they’ve helped make relevant. —Gabe Garner is SVP of Business Planning at New York-based digital design and technology company Firstborn.